Can you eat soaked almonds during pregnancy? Are soaked almonds better than raw? What are the benefits of almonds during pregnancy? What is the nutritional value in almonds? How many almonds can you eat per day during pregnancy? When to eat almonds during pregnancy? What are the possible side effects of eating almonds during pregnancy? What precautions should you take while eating almonds? 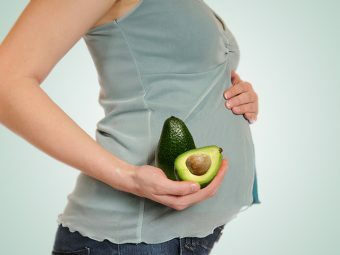 How to add almonds to your pregnancy diet? 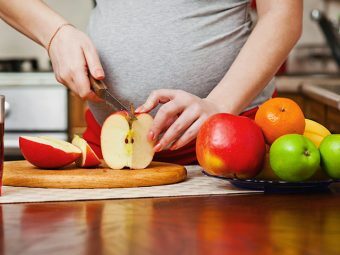 Mothers-to-be are often asked to avoid nuts (be it almonds, peanuts, walnuts, or any others) if they had a history of allergies in their family, to prevent the baby from developing nut allergies. But, this is not the case anymore as there are findings that prove nuts to be beneficial for the growing baby (2). However, you should be mindful of why, when, and how to eat almonds during pregnancy. 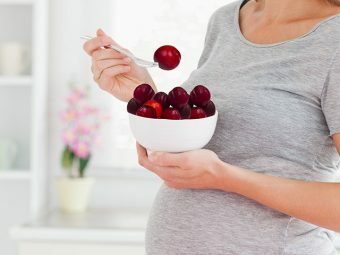 Though almonds enjoy the status of superfood, do they meet the nutritional needs of a mom-to-be?MomJunction helps you understand everything about almonds during pregnancy. Yes, it is safe to consume raw almonds as they are power packed with mixed nutrients rich in iron, calcium, folic acid, and fiber. However, pregnant women should avoid eating almonds or any other nuts if they are prone to allergies (3). Can You Eat Wet (Soaked) Almonds During Pregnancy? You can eat soaked almonds, unless you are allergic to them. Soaked almonds release enzymes that help in digestion and increase the nutrient value of the nut. Soaking them overnight ease digestion and aid in the removal of brown skin that usually contains tannin, and tannin is known to reduce nutrient absorption (4). Though both the forms are healthy, soaked almonds are always the better option. And, below we give you reasons (5). Phytic acid present in plantsimproves the life of nuts and seeds. But, it also slows down the absorption of essential minerals in our body. Therefore, too much phytic acid can cause mineral deficiency. Soaking nuts removes phytic acid and releases phosphorus that is good for bone health, and easydigestion. On soaking nuts along with salt, enzyme inhibitors are neutralized, and beneficial enzymes are released increasing the bioavailability of vitamins in nuts. The enzyme inhibitors especially halt the gluten degenerating enzymes. But on neutralization, enzymes that help in gluten breakdown are released and ease the process of gluten digestion. It digests the gluten before reaching the gut thus making digestion easier than with dry nuts. Tannin offers a yellowish tinge to the nuts and gives a bitter taste. However, it is water soluble, and when soaked, it degenerates and reduces the bitter taste, making the nuts taste sweeter. 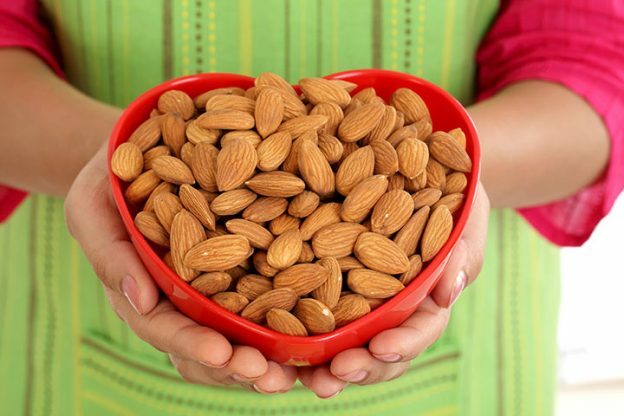 Soaked or unsoaked, almonds, in general, offer several benefits during pregnancy. Raw or soaked almonds are the best sources of folic acid (6) that significantly helps in the development of the brain and neurological system of the baby. Folic acid is also essential to prevent neural tube defects in the baby (7). During pregnancy, you will require about 400mcg of folic acid to meet the baby’s requirements (8). 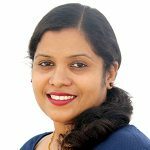 Children born to obese or diabetic women have increased chances of developing obesity and metabolic issues. Almonds provide a healthy source of carbs and dietary fat that aid metabolism, and reduce inflammation, oxidative stress, and blood sugar (9). Pregnancy causes weight gain, and thanks to the cravings, it sometimes gets difficult to control the weight. Almonds can keep you full for a longer time, therefore, lowering the risk of unnecessary weight gain. In a research study conducted on 20 obese women, who were under high-risk pregnancies, it was found that consuming 2oz (56gm) of almonds every day offered satiety by reducing the hunger hormone ghrelin, and increasing the appetite-reducing hormone leptin. The observation concluded that almonds play a great role in improving satiety, lowering appetite, and facilitating healthy weight gain (10). 1oz of almonds contains 1.1mg of iron,which meets 6% of your daily iron requirements. As iron requirement is high during pregnancy, especially in the first trimester, you will surely get it from the daily consumption of adequate almonds. According to a study, consuming nuts during pregnancy will protect your child from allergies later in life. Therefore, you can consume a safe proportion of nuts such as almonds, and peanuts to decrease the probability of allergies in children (11). High nut intake is believed to be inversely related to asthma in children, as nuts contain vitamin E and zinc, both of which protect the child from asthma (12). Almonds contain a good amount of protein that provides strength and stamina required for delivery. The protein also aids in the healthy development of the baby and keeps the mother’s weight under check. Being rich in fiber, almonds help ease digestion and regulate bowel movements. They also treat constipation problems that are very common during pregnancy. One ounce of almonds provides around 75mg of calcium. It helps lower the risk of pre-eclampsia, and also assists in bone formation in the unborn. Let’s look at the nutritional value of almonds. The benefits and nutritional values are convincing enough for you to add almonds to your diet. However, the nuts will be helpful only if eaten in a limited quantity. Whether raw or soaked, you can have up to one oz, which equals one-third of a cup or approximately 23 almonds, as per the USFDA. Try having soaked almonds early morning. You should not eat more than the suggested quantity as it can lead to unpleasant effects such as weight gain and digestive problems. You can eat almonds throughout pregnancy irrespective of the trimester. Have around ten in the morning and ten in the evening, orchalk your own plan as per your convenience. But, do consult a doctor before increasing the number of almonds because having too many of them might lead to some side-effects. What Are The Possible Side Effects Of Eating Almonds In Pregnancy? These effects are not severe and can be easily avoided. Though almonds increase good cholesterol levels in the body, eating too many may lead to weight gain as they contain high calories and fats. Almonds are a rich source of manganese where one ounce gives around 0.6mg of the mineral. Manganese helps in various body functions. But a high level of the mineral poses the risk of pre-term delivery (14). If you are eating almonds along with a high fiber diet, it could lead to gastrointestinal issues such as bloating, constipation, and abdominal cramping because your body will not be able to process too much of fiber. Over consumption of almonds can trigger your immune system causing an allergic reaction. You may develop rashes and breathing difficulties in rare cases. Consuming a diet rich in vitamin E containing almonds, whole grains, eggs, spinach, and more can lead to harmful effects such as blurred vision, diarrhea, flatulence, and headache. Therefore, you might want to take some precautions while eating almonds. Consult your doctor before planning to add almonds to your diet. Consume them in a natural state. Avoid the other varieties found in the market such as salt coated, sugar coated, or chocolate coated almonds. Buy almonds from standard brands. Wash the almonds thoroughly to wash off any harmful bacteria on their surface. Packaged varieties have fewer chances of having bacterial infection. While you can have either raw or soaked almonds, below we list a few ways in which you can include almonds in your diet. Try these ways to incorporate almonds in your diet. Soak almonds overnight, and make a fine paste the following morning. Mix it with a glass of milk and consume it fresh. Have 10 to 12 soaked and peeled almonds, along with a glass of milk, as your first meal in the morning. Make a fine paste of almonds to get almond butter. 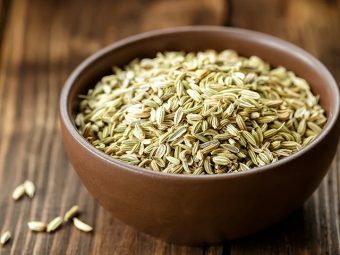 It is a wonderful source of proteins, healthy fats, fiber, and lowers bad cholesterol. You can eat it with toast. Finely dice the soaked almonds, and you can sprinkle on different dishes such as salads, oatmeal, and yogurt. It gives a rich and crunchy taste to the dish. Bake them along with homemade muffin and bread recipes for a nutritional boost. You do not have to worry about eating almonds during pregnancy. If you have a habit of having soaked almonds as the first thing in the morning, you may continue with it during your pregnancy as well. However, be mindful of the quantity you consume. Anything that is eaten beyond limits is harmful. Below we have some frequently raised queries on consuming almonds during pregnancy. 1. Is the skin of almonds toxic? Skin of raw almonds is edible and offers great nutrition. But make sure to soak them to release enzyme inhibitors so that it eases the digestion process. 2. Can you get cyanide poisoning from eating almonds? Cyanide poisoning is rare as almonds contain trace amounts of this toxin. As you know, there are two types of almonds – bitter and sweet. The almonds we get and eat are the sweet ones and they contain low levels of cyanide, but bitter almonds contain 50 times more cyanide per nut making them lethal. To make it simple, you need about 1,000 sweet almonds to reach toxicity while you need only 10 to 30 bitter almonds to reach the lowest possible lethal level. Also, any form of cyanide that enters into the body system will be eliminated within one day. 3. Is it good to eat almonds on an empty stomach? Yes, you can eat almonds,, especially the soaked ones, on an empty stomach. They boost your energy levels by absorbing nutrients and offering rich proteins that increase stamina. Have anything to share on the goodness of almonds during pregnancy? Feel free to write to us.